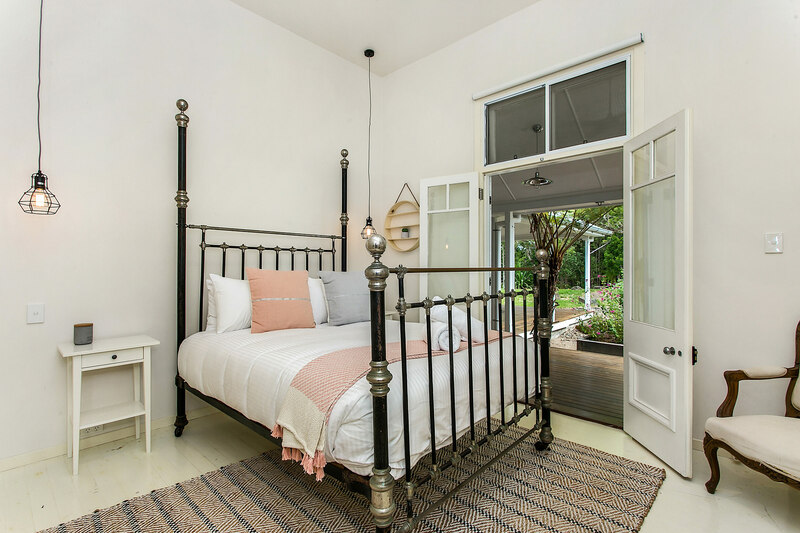 Welcome to Byron Creek Homestead – a luxurious and majestic 6 bedroom, 2 bathroom, Hinterland retreat, located just 3 minutes from Bangalow. 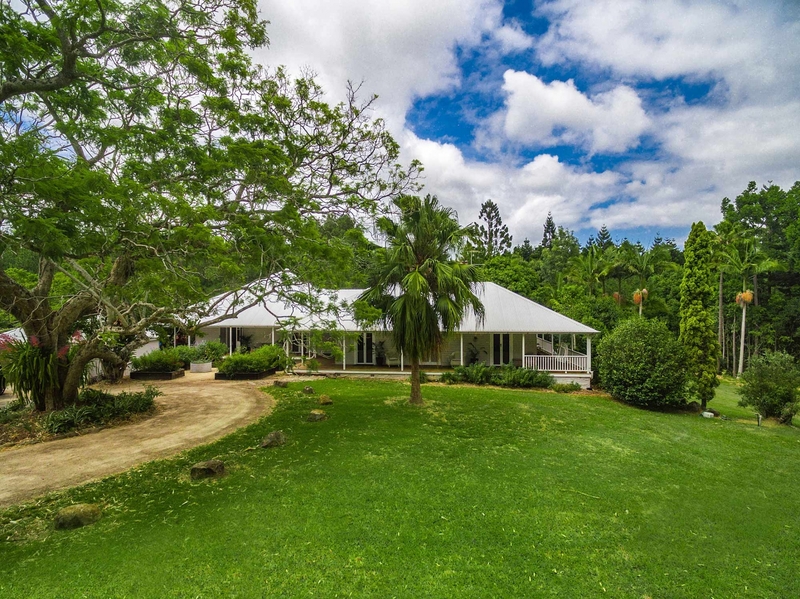 Drive up the long, tree lined entrance to this elevated homestead, nestled in tropical foliage and sitting atop 2.5 acres of green manicured lawns, framed by shady trees and garden. 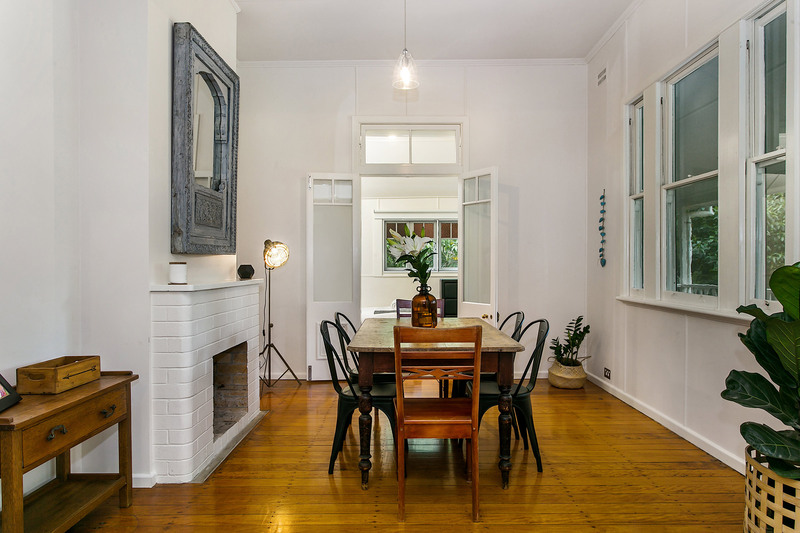 Oozing with old world charm, this historic home dates back to c.1905 and is beautifully preserved, with 14 foot high ceilings, polished timber floors and French doors and windows throughout. 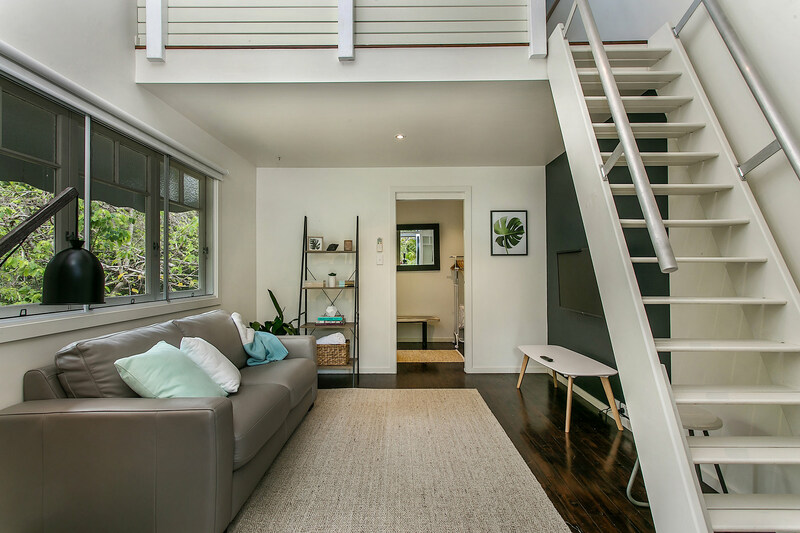 There is room to roam, with two adjoined, immaculately fitted homes that make up one residence, framed on all sides by stunning timber verandas. In House 1, cook in a large refurbished kitchen and dine in light-filled elegance, in the open living and dining area. 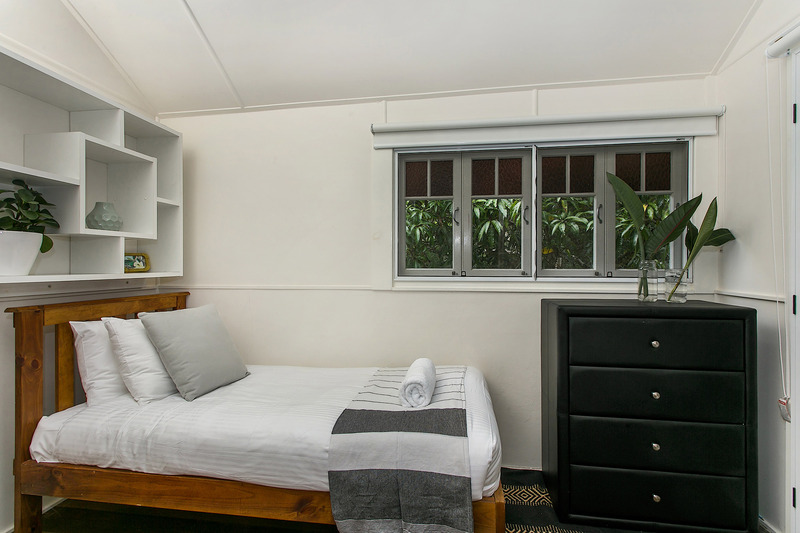 House 1 includes 3 spacious bedrooms that open to the veranda, a bathroom and laundry. House 2 adjoins via the wraparound veranda space and includes the master suite and bathroom, brand new kitchenette and large open-plan living space. Another spacious teen retreat/TV room has a single fold out + a mezzanine above with a queen room. 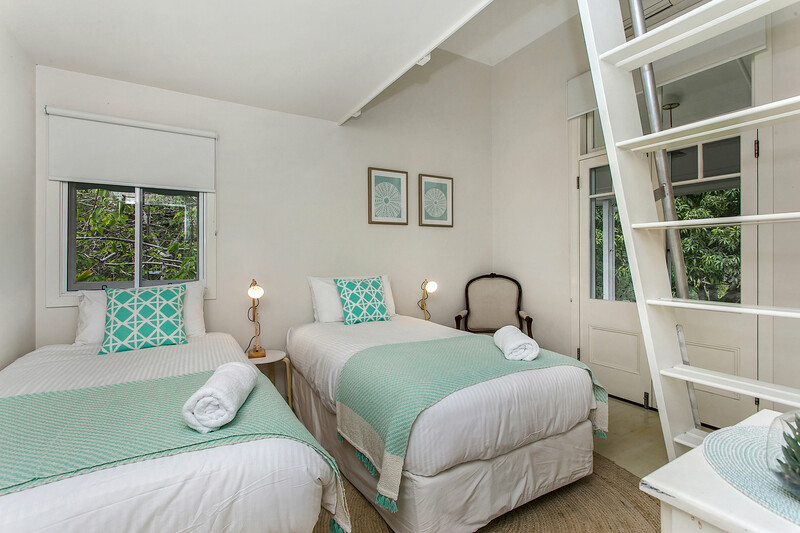 A third room in House 2 offers 2 King singles (can be made as a King) and also offers a loft room with another Queen bed. Swim in the 11m saltwater pool or relax poolside in the shady, covered cabana. 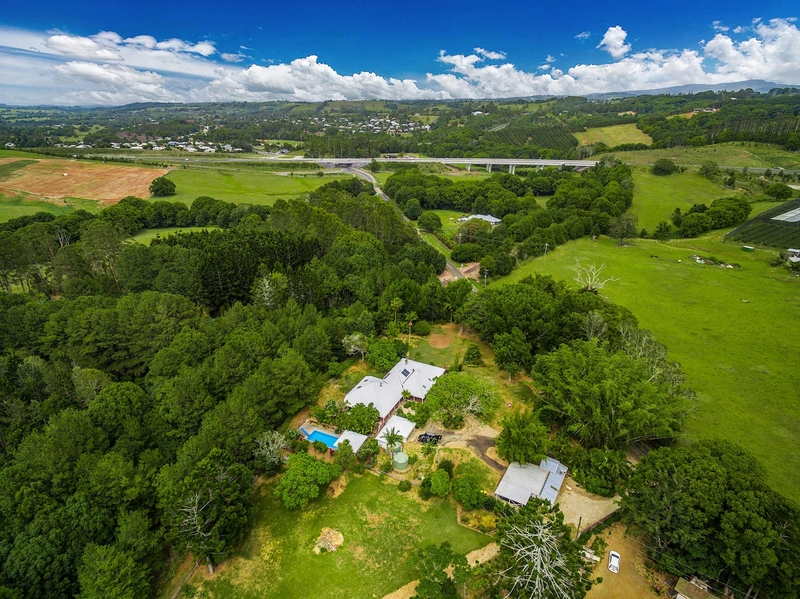 This luxurious Hinterland gem is perfectly positioned, 3 minutes’ drive to the charming village of Bangalow and only 7 minutes to the centre of Byron Bay. 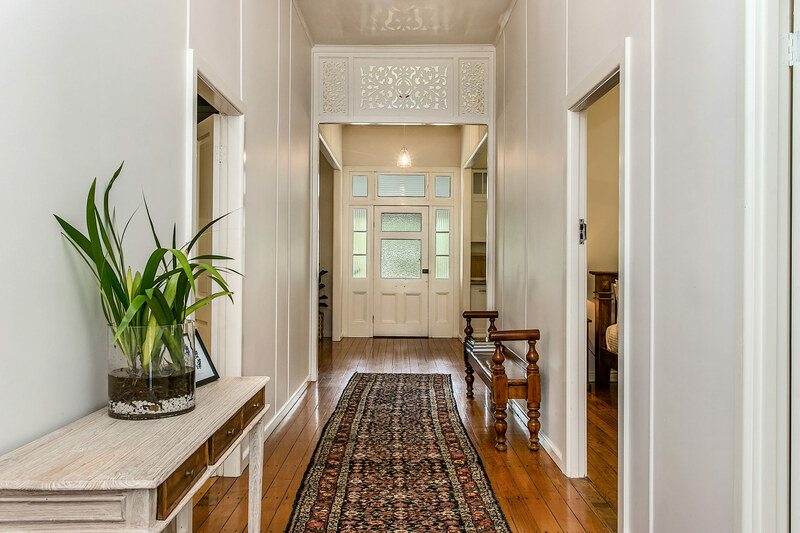 Enter House 1 through a stunning wide entry space and wander down the spacious, light-filled hallway. Relax and unwind in the lofty living space, in front of the stunning fireplace nestled in built-in feature wall cabinetry. Timber framed French doors open to the covered veranda outside. 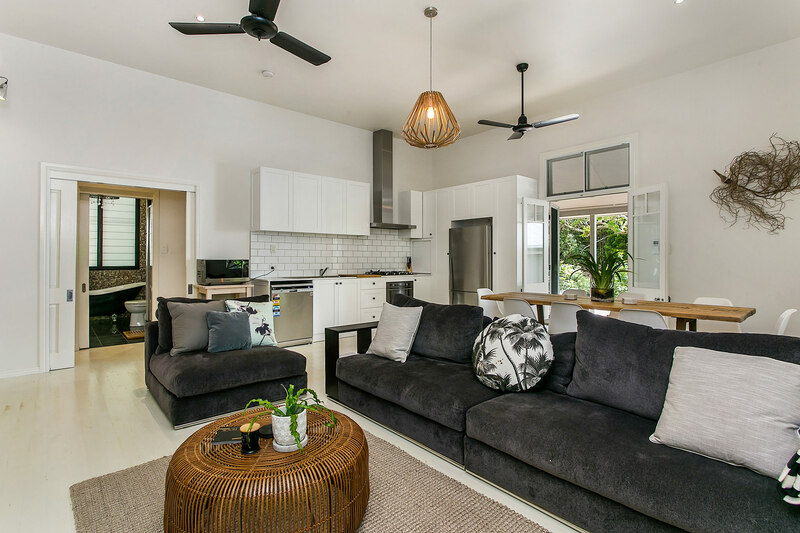 House 2 offers an additional large and open living and dining space, complete with high ceilings, kitchenette, built-in timber cabinetry, comfortable lounges and flat screen TV. A large, bright and airy dining space sits beside the kitchen in House 1 and features soaring ceilings, timber French doors and full height windows. 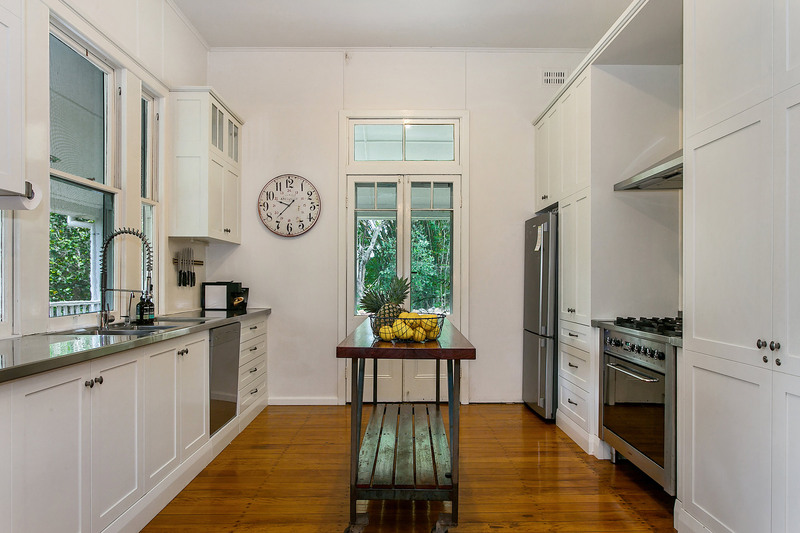 Cook up a storm in the separate kitchen that sits just off the dining space in House 1, complete with timber cabinetry, double height sash windows, stainless benchtops, timber island trolley and quality stainless appliances. A brand new kitchenette is located in House 2. 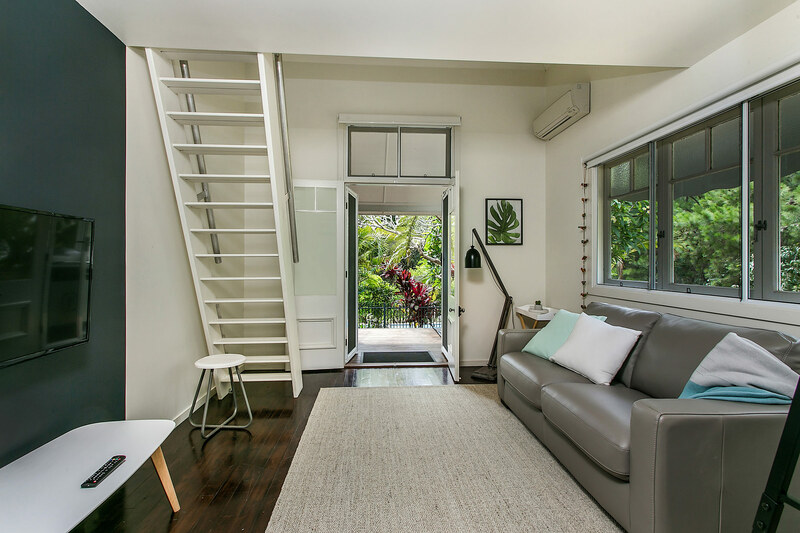 For guest convenience, a study space sits off the living area in House 1, perfect for catching up on work while away. 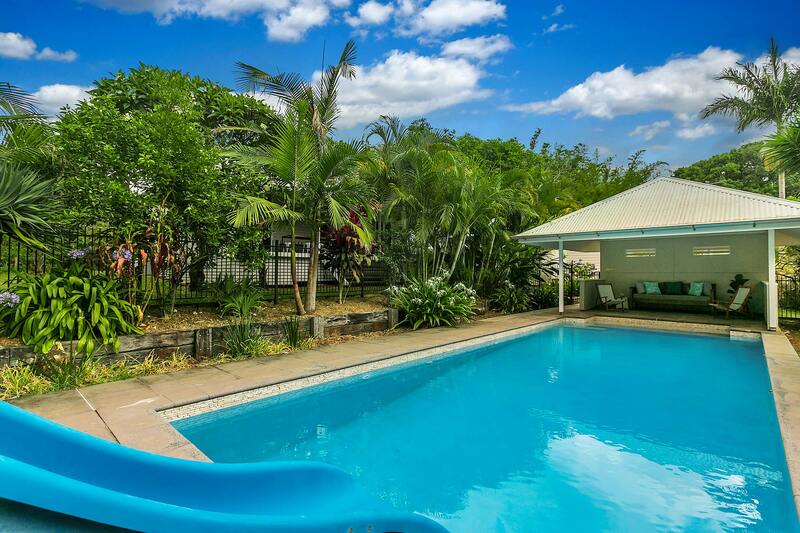 Sleep like royalty with endless choice in this large 5 bedroom homestead. 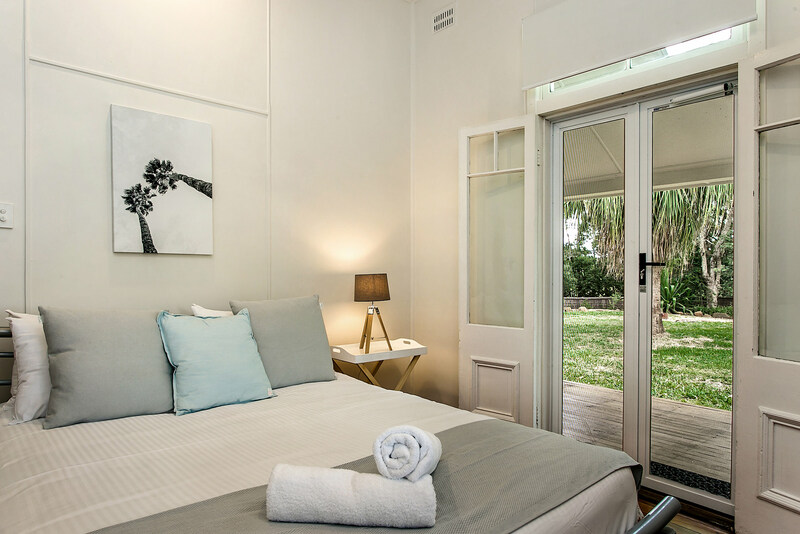 In House 1, there are two large and light-filled bedrooms with French doors opening to the veranda space, as well as a cosy additional single bedroom, off the dining space. 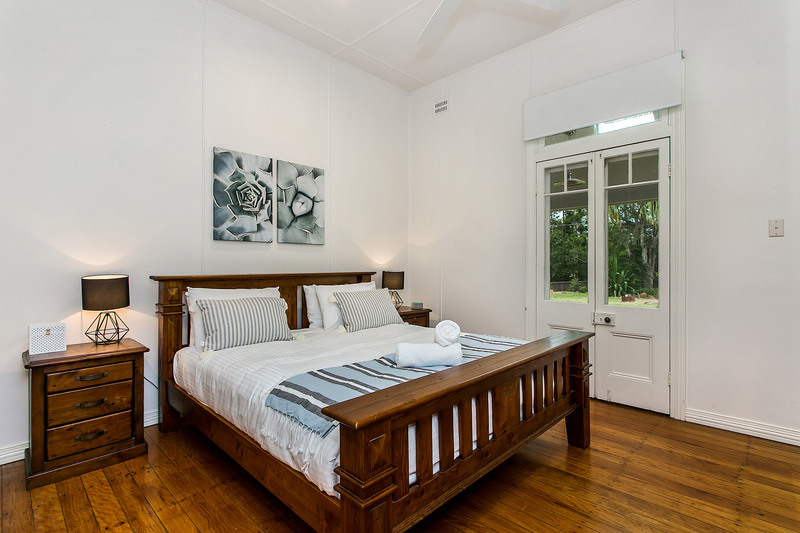 House 2 contains the master suite and bedroom 2, both with French doors opening to the timber veranda. 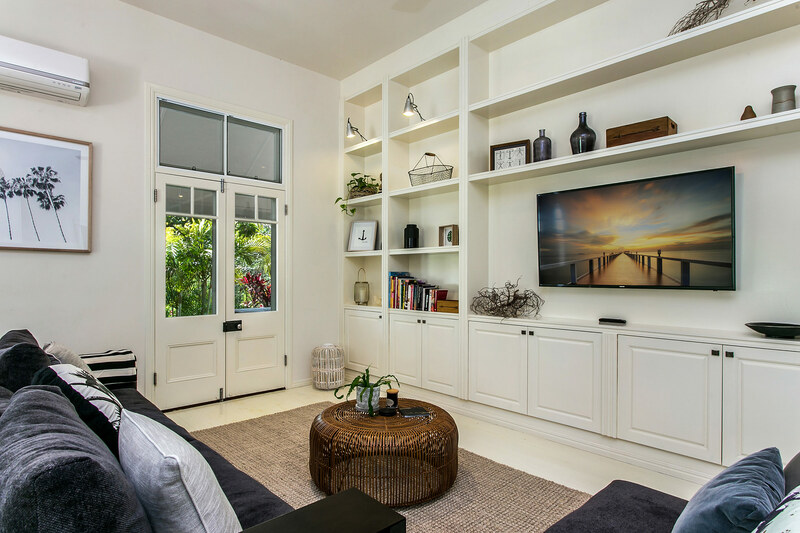 A flexible and functional space in House 2, complete with flat screen TV and comfy sofa bed, offers a teen retreat, or TV room or an additional bedroom space. 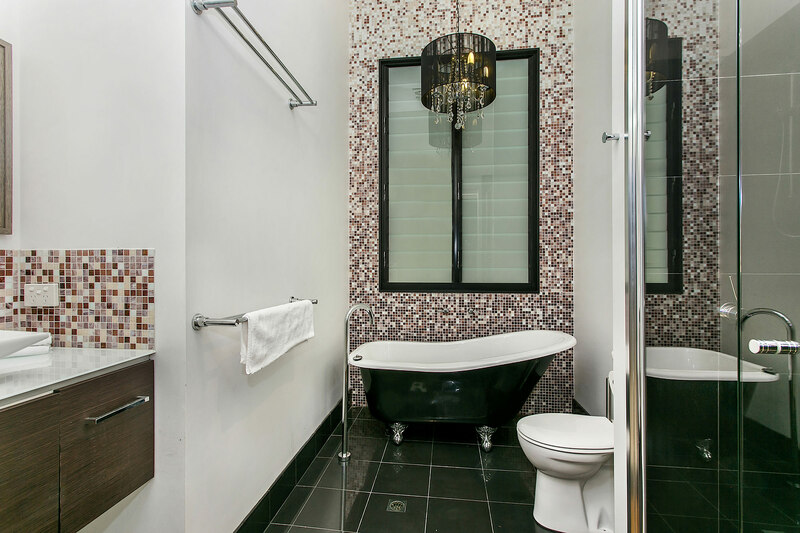 Both bright and airy, the House 1 bathroom offers an open shower and the bathroom in House 2 includes a deep, freestanding bath sitting beneath floor to ceiling louvre windows, mosaic feature tile wall, timber cabinetry, modern floating-style basin and a large double shower with frameless glass. 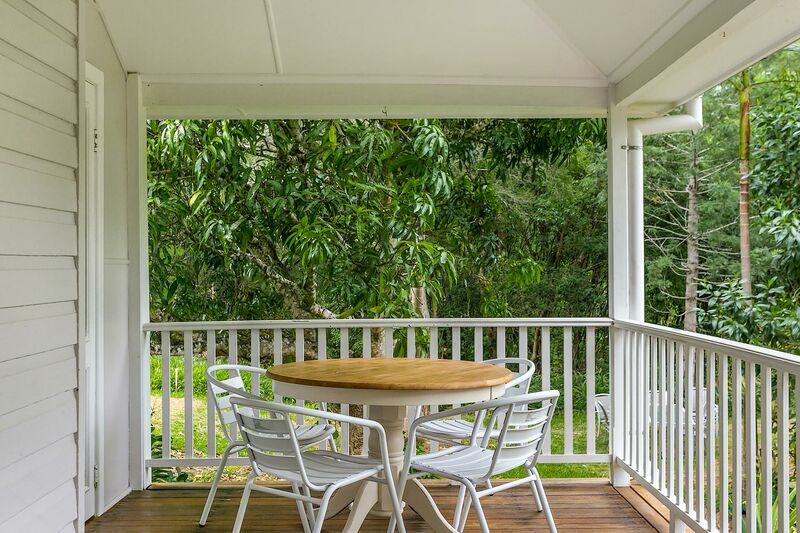 The outdoor space at Byron Creek Homestead is pristine and picturesque, with the stunning, elevated weatherboard home sitting atop lush green lawns and within manicured tropical gardens, in the shade of native trees. Garden beds, planter boxes and shrubbery all frame the homestead, with large shady trees and the sprawling Hinterland beyond. 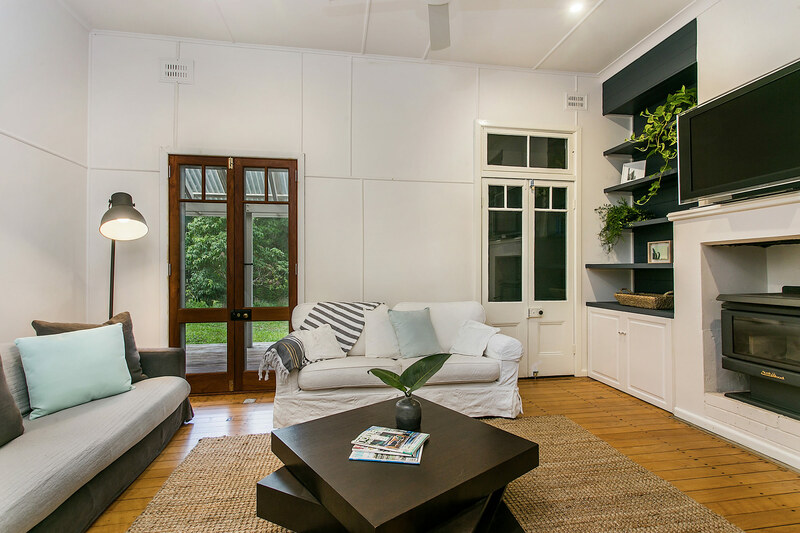 Unwind with a book, curl up for a snooze and soak up summer breezes on the endless timber verandas that frame the house and are covered with dreamy sloping ceilings, illuminated with pendant lights and decked out with cushioned outdoor seating. 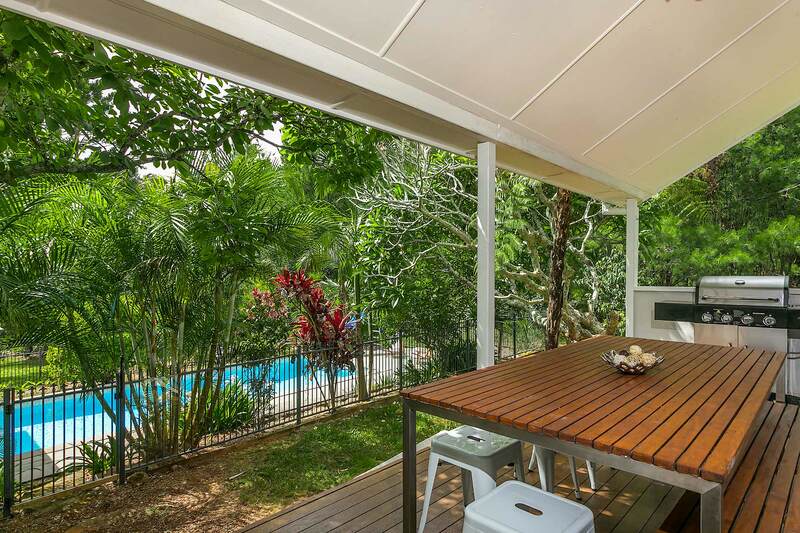 Entertain with outdoor dining and BBQ or watch the sunset, swaying gently in the cane hanging chair. We had a lovely stay at the Byron Creek Homestead. 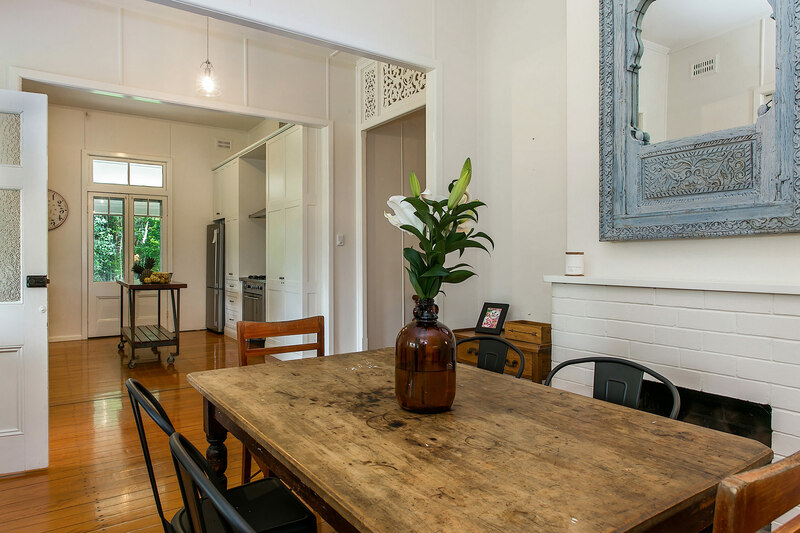 The house is extremely comfortable and stylishly decorated. It was also well equipped. An ideal place for a lovely lazy Easter break with our adult children. 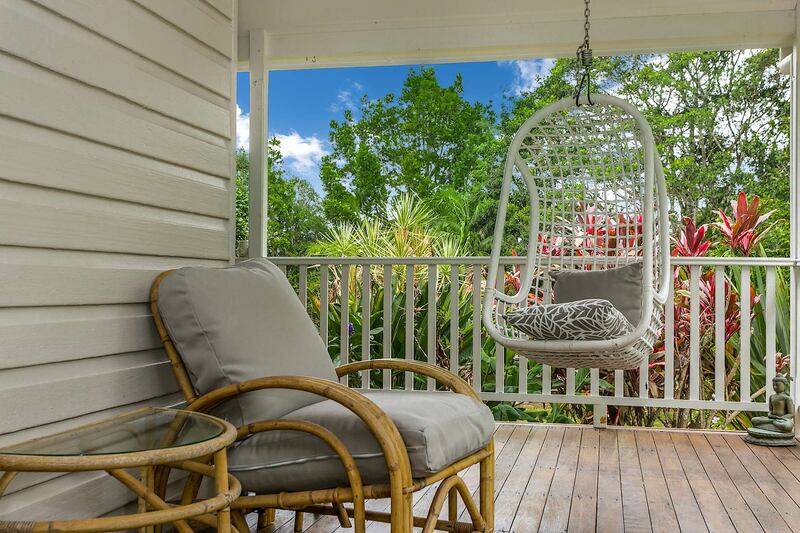 It was walking distance to Bangalow which has great shops and cafes, and an easy drive to Byron. Would highly recommend.